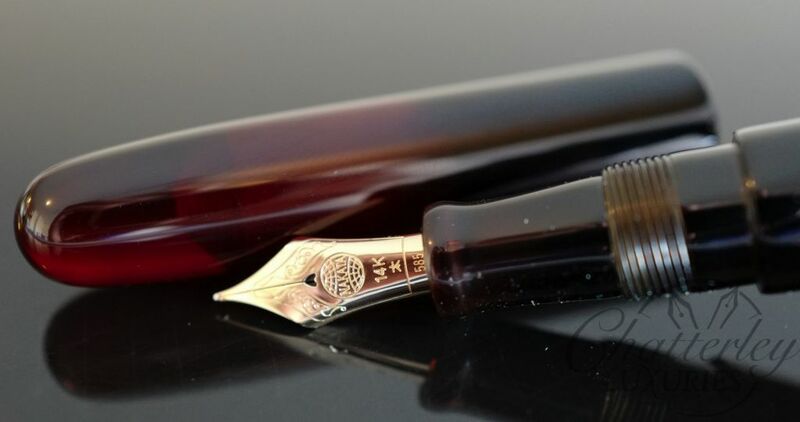 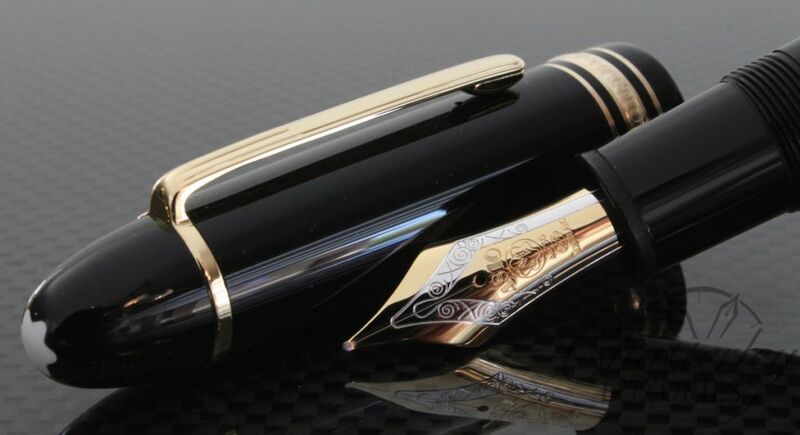 Piston fountain pen. 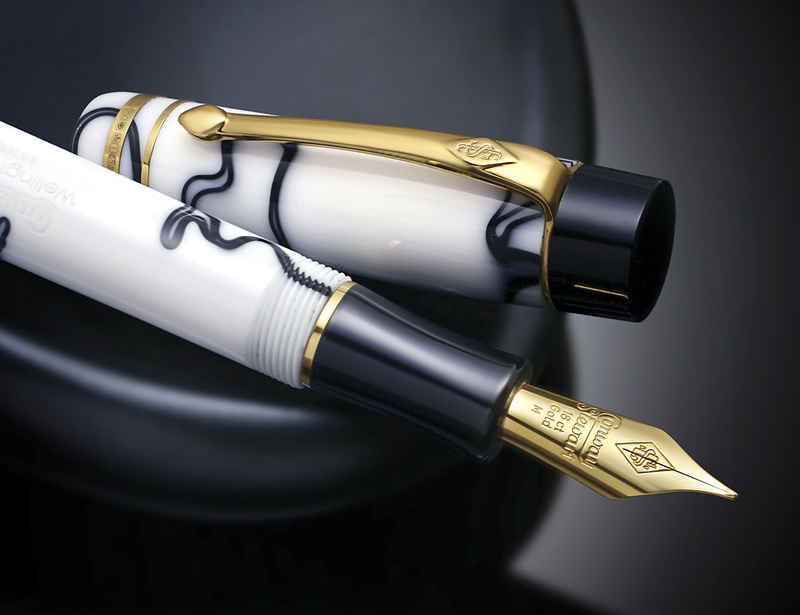 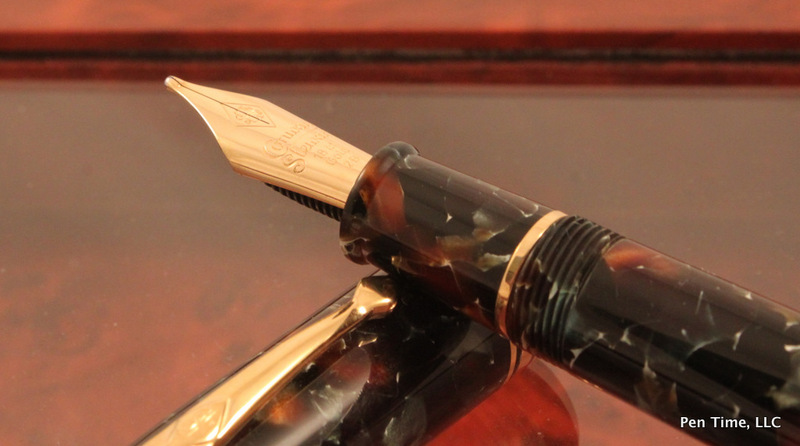 18k gold nib with rhodium-plated inlay. 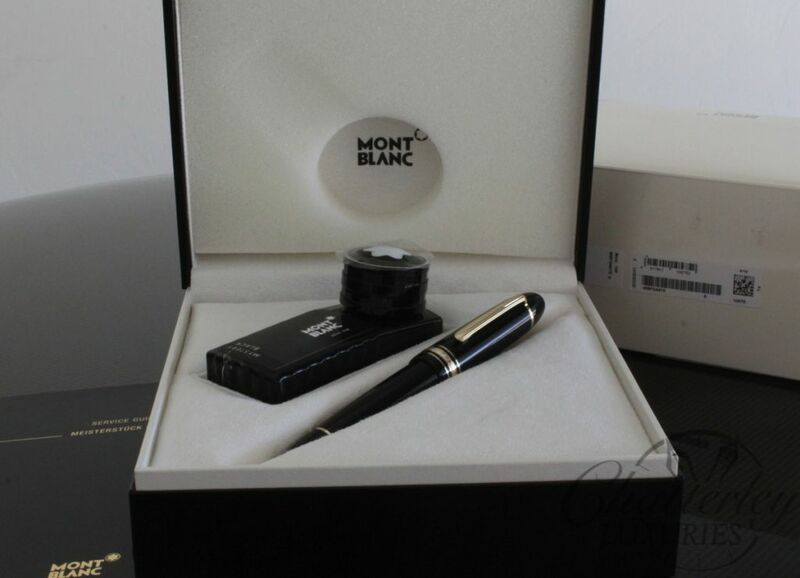 Pen comes with a 60ml bottle of Mystery Black Mont Blanc ink.